It is common to log on to sci-fi sites and find Black authors, and educators dialoguing and discussing their latest sci-fi projects. Through the use of digital technology, Black writers and creators find it easy to deliver action packed sci-fi drama to their audience. “I think we are living in a very exciting time right now regarding our access to the tools for production and distribution (of sci-fi entertainment). These days if you have the proper training and the technology, you can create your own music, film, books and the quality has the potential to be competitive in many markets,” said John Jennings a Black associate professor of Visual Studies at the University of Buffalo in Buffalo, N.Y. Visual Studies encompasses painting, sculpture, video, photography, performance and a host of new digital technologies to explore the richness of the imagination and the diverse possibilities of experience, according to the University of Buffalo. Jennings’ latest artistic work can be found in rapper David Banner’s sci-fi film titled, “Walking with Gods.” Jennings said he produced more than 50 images for Banner’s upcoming film. The movie is about a West African prince named Aket Heru who is pursued and murdered by an evil entity throughout each incarnation; however, Jennings said that the prince does not perish in the upcoming sci-fi film. Danielle Belton, a sci-fi blogger who wrote an essay titled “Blacks in the Future,” asserts many White producers in Hollywood in the ’60s and ’70s did not cast Blacks in block buster sci-fi films because producers did not associate Blackness or Black people with the “hero” or “heroines” archetypes; and if Blacks were cast in films, they were often cut out because of racist attitudes. “Actor Joe Morton, who appeared in the 1984 cult classic The Brother From Another Planet and in the 1991 blockbuster Terminator 2: Judgment Day, recalls an old Richard Pryor joke. ‘Hollywood didn’t think we’d be around in the future,’ Morton says, ‘so why put us in the sci-fi movies?’ ” observed Ms. Belton. “(Mr. Morton) continues, ‘If you are a 50- to 60-year-old White producer in Hollywood, for the ‘heroic image’ you’re not going to think of a Black man or woman. Consequently, Black roles in sci-fi are tokens. He was the communications expert. The communications expert would also then be the first one to be killed. First one to die.’ When George Lucas offered Samuel L. Jackson a role in the final Star Wars prequel as the Jedi Mace Windu, Jackson agreed on the condition his character not die ‘like some punk,’ ” she added. 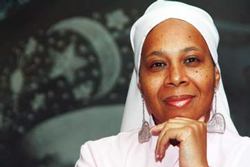 Ytasha Womack, author of the book Afrofuturism: The World of Black Sci-Fi and Fantasy Culture, also agrees that Blacks were quickly cut out of the movie roles, leaving their voices forever silenced on the cutting floor. “It was an age-old joke that Blacks in sci-fi movies from the ’50 through the ‘90s typically had a dour fate. The Black man who saved the day in the original Night of the Living Dead was killed by trigger-happy cops. The Black man who landed with Charlton Heston in the original Planet of the Apes was quickly captured and stuffed in a museum,” she wrote. As Black actors begin to take stronger stances against stereotypical, racist roles, observers will begin to see more positive roles, Womack argued. “Denzel Washington becomes the savior for humanity in the post apocalyptic film, Book of Eli …Will Smith saves humanity in I am Legend and … Wesley Snipes plays a vampire in the heroic trilogy Blade,” she said. Afrofuturism is the study of Black culture through a Black perspective on sci-fi films, musicians and their music, books, human rights, science and history. It captures the essence of Blackness and presents a positive futuristic view of what it means to be Black. 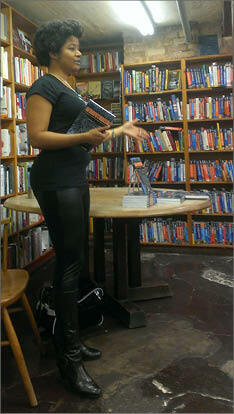 Womack’s book has an enormous amount of research and information centered on the culture of Afrofuturism. 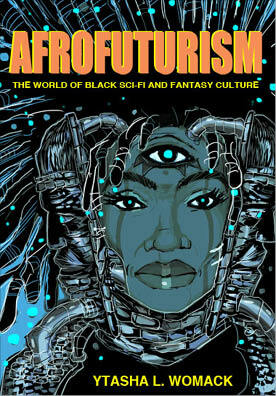 Afro-futurism: The World of Blacks and Fantasy Culture is available at www.amazon.com. For the latest in Black sci-fi films, books and movies, log on to www.blacksci-fi.com or www.blackscifictionsociety.com.